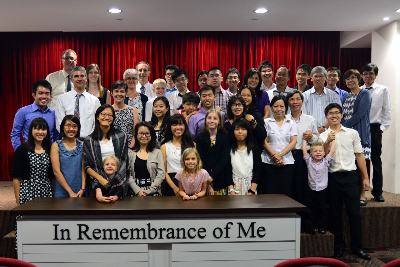 The sixteenth issue of "Reformed News Asia" has been released by the Christian Literature Ministry (CLM) of our sister church in Singapore, the Covenant Evangelical Reformed Church. Once again you will find an issue filled with informative and profitable content (for information on the previous issue, #15, visit this page)! 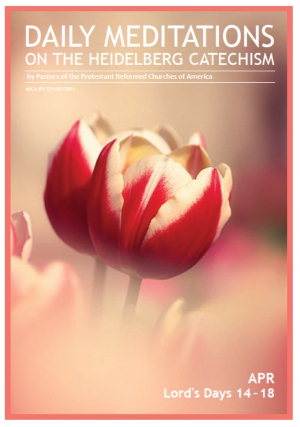 One of the special resources made available in this issue is the daily devotions, which continue a series covering the Heidelberg Catechism (LDs 14-18). Written by Rev.A.Brummel and Rev.J.Kortering, these devotions on the "HC" take you through the month of April and into May (April 2 - May 6). You will find great spiritual profit in using these devotions day by day (By the way, you may also find these same HC devotionals on the PRC website.). 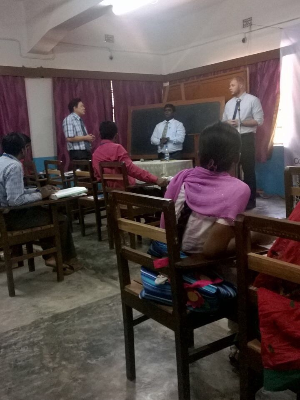 Significant too in this issue are reports on the recent trip of Rev.A.Lanning and Elder Leong to Kolkata, India, as well as the visit of the church visitors on behalf of the PRC - Rev.S.Key and G.Eriks along with their wives (see pictures below). Plus there is a special advertisement of the annual Good Friday Gospel Meeting, the purpose of which is to "invite your friends and family to hear the good news of salvation which Christ accomplished on the cross".